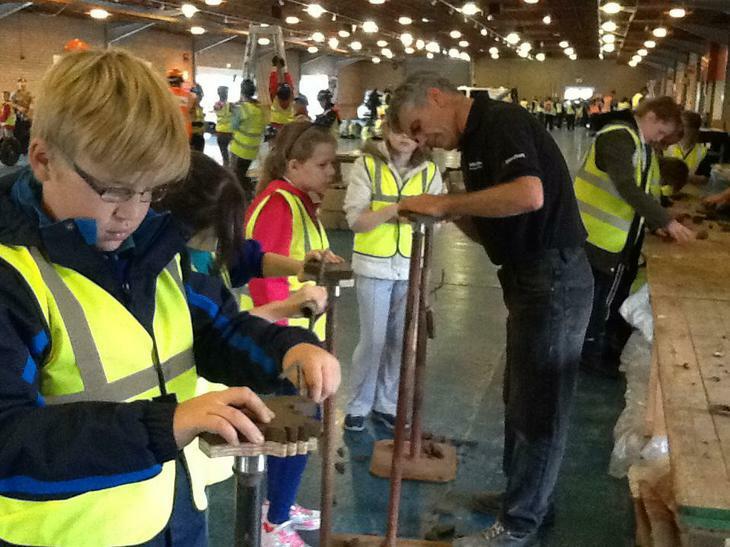 The Year 6 trip to Lincolnshire Showground focused on construction skills. 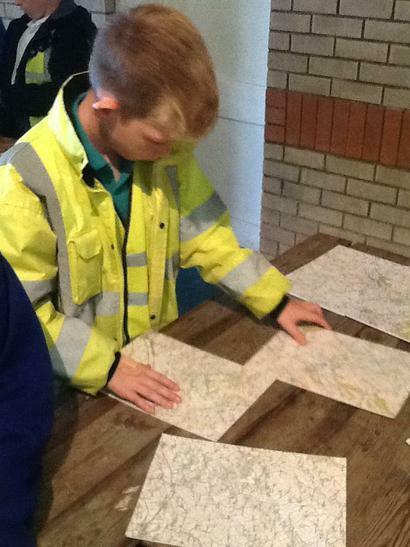 The children behaved impeccably and cemented many skills, building others! 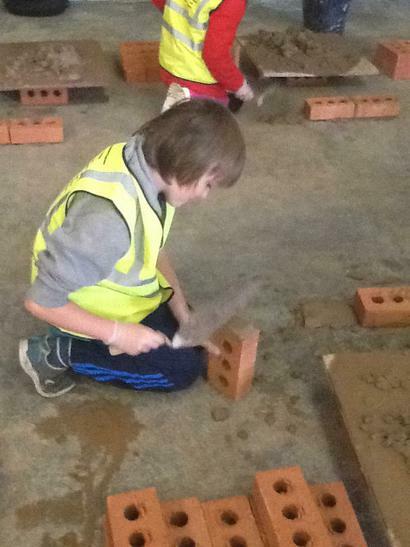 My most successful part of the day was brick laying- and I was very good at it! We had cement and we had to make a brick wall pyramid. At first, it was hard and challenging but once I had done a layer of four bricks, I was starting to ‘get the hang’ of it. Putting the heavy cement on the even heavier bricks was the most challenging bit for me, but the work paid off as the final product was amazing! My goal for construction day was to master everything from brick laying to tetrahedron making- and I did it because I believed in myself. My most successful activity was tetrahedron making where we used sticks and rubber bands to make 3D pyramids with triangular bases. We made one which was as tall as the ceiling which we reckon is about 3.5 metres. 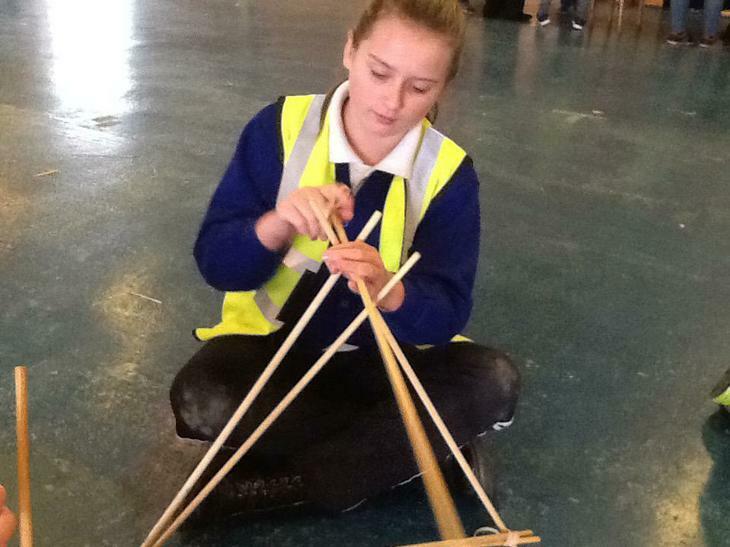 The biggest tetrahedron took a whopping 384 sticks to make and 194 rubber bands! 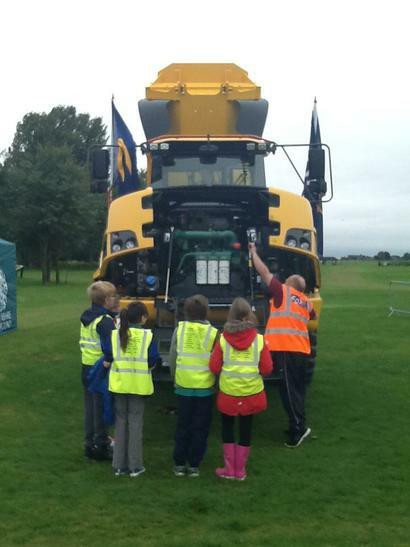 Before even getting to the Lincolnshire Showground, I’d set myself a goal to do my best- even though I had a broken arm! But I was confident- and that confidence was going to stay. I loved the clay! My favourite bit was turning what started out as a ball of clay into a ‘masterpiece’. The greatest thing I achieved was demonstrating my ability to shape the clay into an outline of whatever project I wanted to achieve. Coming soon to a building site near you!